In the wake of Wednesday’s deadly school shooting in Florida, liberal politicians and media figures have once again poured out of the woodwork to push for gun control. Many of them contend that new gun laws are the only legitimate moral and political response to such tragedies. Frequently, they point to countries with stringent gun laws as models for America to follow, usually contending that similar measures would reduce or even completely eliminate mass shootings if applied in America. However, these same esteemed politicos and their ideological compatriots in the news media practically never talk about examples of mass shootings that have occurred in countries with extremely restrictive gun laws. Sometimes, supposedly objective journalists will even stoop to denying the existence of these killings, as happened yesterday during CNN’s coverage of the events that were then still unfolding in Florida. In order to counter this sort of disinformation, the following is a handy list of some notable mass killings involving firearms that occurred outside the United States. Russian legislation on gun control is relatively strict […]. The acquisition of guns is based on licenses provided for a five-year period by local police departments at one’s place of residence after a thorough background check, including a review of the petitioner’s ability to store guns safely and an evaluation of his/her medical records. Mentally ill people and those who have been treated for substance abuse are not allowed to possess firearms. Individuals are allowed to have up to ten long-barreled guns in their possession, and more if they are collectibles. Individuals are not allowed to carry guns acquired for self-defense; a license only serves as a carrying permit for hunting and sport firearms when these guns need to be transported. Russian citizens may not own guns that shoot in bursts or have magazines with more than a ten-cartridge capacity. Individuals who acquire weapons for the first time are required to attend six and a half hours of classes on the safe handling of guns offered by organizations designated by the government of the Russian Federation and to pass federal tests on knowledge of safety rules. […] Tests must be retaken and passed when an individual applies for license renewal. 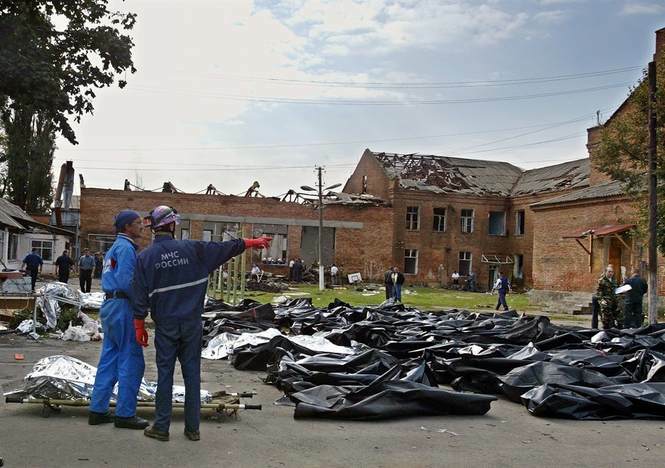 On the morning of September 1st, 2004, these laws did nothing to stop 32 Chechen terrorists wielding AK-47 style assault rifles and vests filled with bombs from taking over a school in the small town of Beslan, North Ossetia. Approximately 1,200 people at the school were taken hostage, many of whom were either students or their relatives. After a two-day siege, a series of explosions within the school prompted Russian military forces to storm the building and liberate the hostages. A ten hour-long gun battle between terrorists and elite Spetsnaz forces ensued before the violence finally stopped. Chechens systematically used hostages as human shields, greatly magnifying the carnage. The final number of dead from the siege was staggering—330 victims, 186 of whom were children, were either blown up or shot. All but one terrorist was killed while resisting government forces. 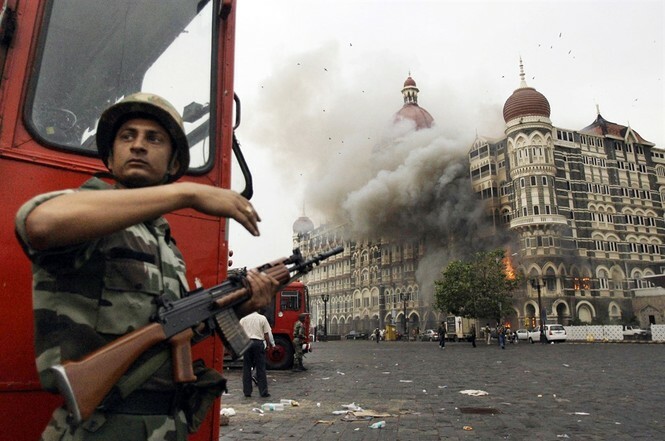 Nevertheless, on November 26th, 2008, ten Pakistani terrorists armed with AK-47 assault rifles went on a series of separate rampages throughout the affluent city of Mumbai. The attackers managed to take control of two different hotel complexes, a Jewish community center, and a railway station. Indian military and police were eventually able to fight back and kill or capture all of the terrorists, but the damage done was still immense. 164 people, including both local residents and tourists, were killed. On July 22nd, 2011, a fertilizer bomb exploded outside the Norwegian Prime Minister’s office in the capital of Oslo. The blast killed eight people and, more importantly, attracted most of the attention of the nation’s police forces. 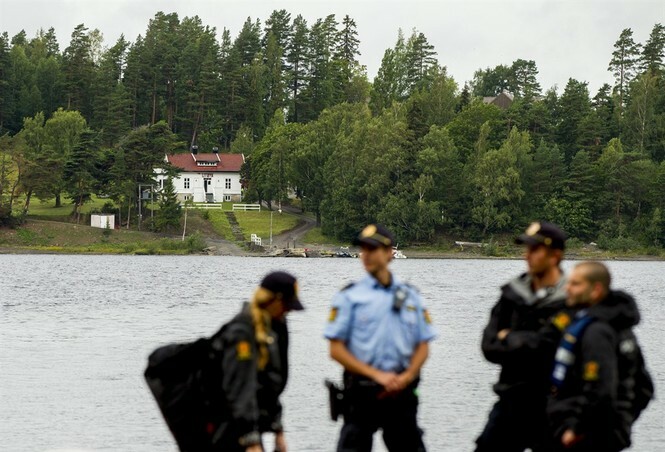 20 miles away, Anders Breivik, the man responsible for the bombing, launched an assault on a Labour Party youth camp on the island of Utoya. Wearing a police uniform and armed with a Ruger semi-automatic hunting rifle, Breivik patrolled up and down the small and isolated plot of land, shooting at campers as he went. Police eventually responded and captured the lone gunman, but not before he killed 69 people. In the same vein as every other country mentioned on this list, France has gun control laws that are substantially more restrictive than any currently existing in the United States at the federal level. French citizens wishing to legally own guns must first get approved for a government-issued license, which will only be granted by authorities if they are convinced that a citizen has a “genuine reason to possess a firearm.” Various limits on the numbers of guns and quantity of ammunition that can be owned also exist. 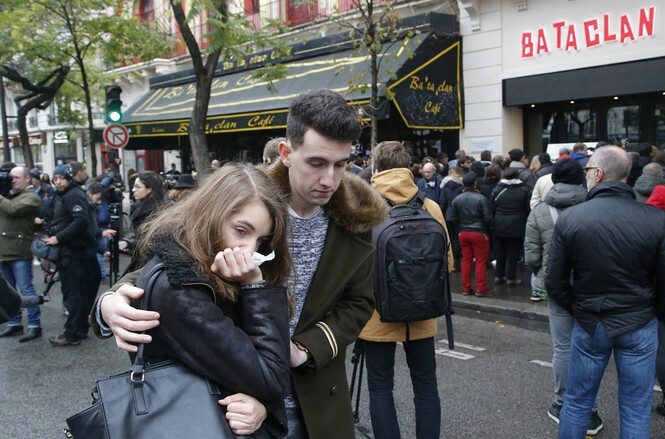 Heedless of any such gun regulations, on November 13th, 2015, three terrorists acting as one part of a series of meticulously planned terror attacks entered the Bataclan theater hall in Paris and opened fire on the crowd inside, who were in the middle of listening to a performance by the band “Eagles of Death Metal.” Using assault rifles and explosive vests, the attackers killed dozens of concertgoers. Although many attendees were able to escape through a back door thanks to the quick thinking of a security guard, others were taken hostage by the terrorists. A special French SWAT-type police unit ultimately saved some of the hostages and killed the terrorists. The ultimate death toll at Bataclan was 90 people. Dozens more died in the other terror attacks in Paris on the same night.